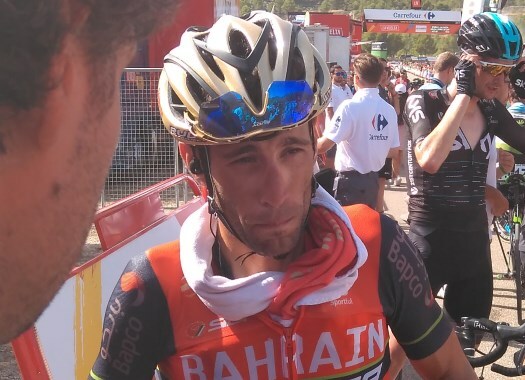 Vincenzo Nibali (Bahrain-Merida) is meeting with the French Police in November to address the situation of his crash at the Alpe d'Huez at the 2018 Tour de France, reports French news agency AFP. The Italian got tangled with a camera leash during the ascent of the Alpe d'Huez at the 12th stage of the French grand tour. The rider hit the deck in a part full of fans that were in the way of the riders and set off flares, and was lifted up and put back on the bike by them. Nibali had to retire at the end of the stage when he could barely get off his bike at the finish line. Further examinations showed that the rider suffered a vertebral fracture and though he has recovered by now, he still suffers from pain. The prosecution of Grenoble received a letter from the rider a week after the incident to complain about the situation and this was forwarded to the Gendarmerie. Now the rider has been called for a meeting that will take place next month in France.